President Higgin's state visit to the UK last week was an important milestone politically and diplomatically. 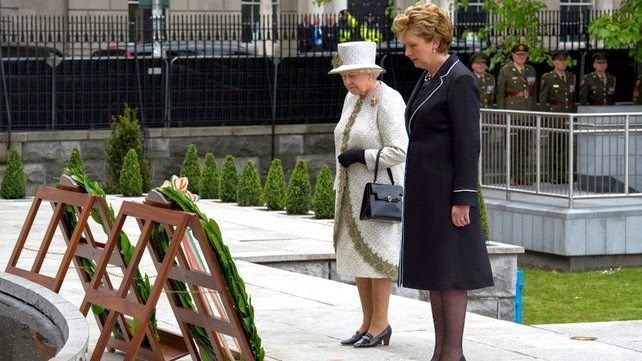 Though I think Queen Elizabeth's visit to Ireland in May 2011 was more important in terms of normalising relations between the British and Irish peoples. The President was simply returning the courtesy. Of course, it depends on what you mean by normalisation. Truth be told, I don't think most people care about 'British and Irish relations' or much else besides when it comes to what happens on these islands that we share. Nationalism has become a somewhat embarrassing notion, a bit like religious belief, i.e. : something to be tolerated as rather harmless (a bit of rivalry when Ireland and England clash in the Six Nations sort-of-thing), but not worth going on about. 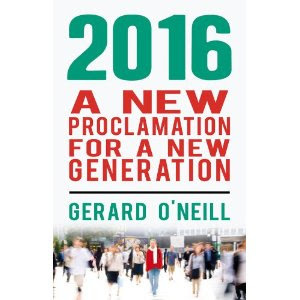 In the North some are fretting about a new age of post-nationalism, in which pretty well everything that defined Irish nationalism (from a Northern perspective) - Sinn Fein, the GAA, the Catholic Church - is seen to either be in terminal decline or to have sold out. Down South, people are a little less stressed about our post-normalisation/post-nationalism new normality - though all that might be about to change. When even Diarmuid Ferriter is moved to question the appropriateness of inviting members of the Royal Family to the 1916 centenary commemorations then maybe the therapy isn't working. Indeed, we might be in for a rude awakening if the growing secessionist mood unfolding across Europe gathers pace. An Independent Scotland after September's referendum would certainly knock everyone out of their therapeutic slumber (though in the absence of a Scottish Pearse, Griffith or even Connolly - James, not Billy - I don't see them cutting the chord myself). I'm a big fan of subsidiarity, and our increasingly distributed and networked patterns of work, creativity, wealth creation and innovation, thanks to technology, will make secession - the political wing of subsidiarity - all the more feasible. Nationalism; it hasn't gone away you know.